Limited edition Run Out Groove title with cover art selected by fans! 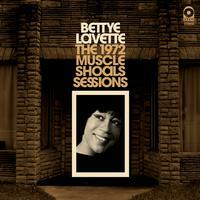 Bettye Lavette may not be a household name like Aretha or Otis, but her talent as a soul singer is just as mercurial. She has cultivated a 55+ year career that led to three Grammy nominations, a W.C. Handy Award for Comeback of the Year, 2008's Best Contemporary Female Blues Singer, all of which tell the story of perseverance personified. The music on this record is from her 1972 sessions at Muscle Shoals Sound, backed by the famous house band of Barry Beckett, Jimmy Johnson, David Hood and Roger Hawkins. These tracks were never released at the time of recording and this brand new collection includes all of her Muscle Shoals recordings plus two bonus tracks recorded the same year in Detroit, all making their debut on vinyl after 46 years. With new artwork, liner notes by Billy Vera and our typical deluxe packaging, this limited Run Out Groove release should not be missed. Note: Final title cover art will be selected by fan vote from preorders for the album.